Honeywell Process Solutions (HPS) revealed that it was recently named “Best Instrumentation & Electrical Material Partner” by global technology licensor and engineering, procurement and construction (EPC) contractor Maire Tecnimont Group. 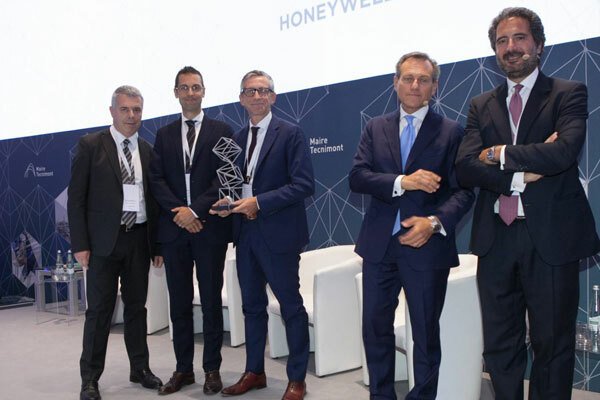 Honeywell was recognised for results across six areas of its work with Maire Tecnimont, which included early engagement, competitive total costing, risk sharing and impeccable execution, said a statement from the company. The award was presented to Honeywell at a ceremony during the SEENERGY event, dedicated to the group’s supply chain. More than 70 chief executive officers of partner companies attended the event in Milan, Italy, representing about €900 billion ($1,041.9 billion) of revenue and almost four million workers, it said. “The award acknowledges the contribution of EPCs to our success in the market, and the consistent and excellent results our joint teams deliver,” he added. Honeywell has had a long and successful relationship with Maire Tecnimont, which encompasses 50 operating companies and more than 8,500 professionals. Working across the hydrocarbon processing value chain, namely oil and gas refining, petrochemicals and fertilisers, Maire Tecnimont manages large turnkey EPC projects in more than 40 countries, it added.